We don't really make as much of a fuss about St Andrews day as we should. It's the 30th of November in case you don't know. The Patron Saint of Scotland seems to get overshadowed somewhat by Rabbie Burns. I was asked to come up with a fun St Andrews day idea for the Quality Meat Scotland Good Family Food Facebook Page to put a meaty twist on proceedings. I pondered upon Saltires, bagpipes and tartan but settled on the iconic Scottish Thistle. 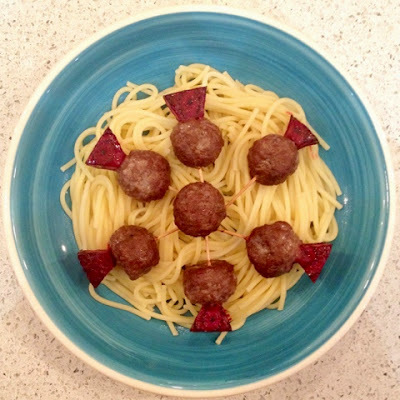 Skewer some Scotch Beef meatballs onto cocktail sticks. 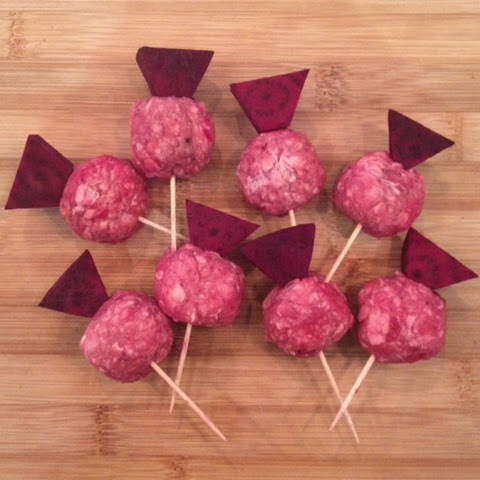 Peel and slice raw beetroot into thistle flower head shapes (disposable gloves will save you from purple fingers!) Top the skewers with the beetroot, brush with Scottish Rapeseed Oil and roast in the oven. 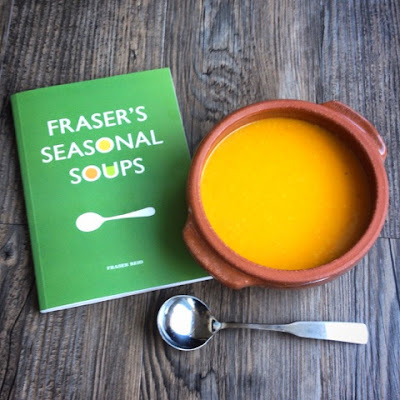 There's not much that can beat a bowl of hearty seasonal Scottish soup and there's 52 of them in recently published Fraser's Seasonal Soups. Fraser Reid is a Dundee greengrocer who’s been teaching the city to cook with his weekly soup bags. Following a career U-turn from Arts Marketing to Fruit & Veg Man he's now celebrating 5 years in business. When he opened his doors there weren't any other greengrocers in Dundee city centre and many considered it a nonviable proposition. Proving the doubters wrong the shop became a thriving community hub and he began to sell weekly soup bags containing a recipe and all the ingredients for a batch of soup for 4. This ingenious idea helped everyone from busy mums, OAPs and starving students to get a healthy, cheap home-cooked meal on the table. Heat a pot on a medium-low heat and add the oil or butter. Fry the onion, carrot and garam masala for 5 - 10 minutes. Add the squash and apple and continue to cook for 5 minutes. Pour in 1.2 litres of boiling water, and add the stock cubes and the creamed coconut, stirring to make sure it dissolves. Bring to the boil, then turn down the heat and simmer for 20 minutes. Blend the soup until smooth, and then season to taste. Kitchen Press have provided a copy of the book as a giveaway for readers of Foodie Quine. Entry is via the Rafflecopter widget below. To enter, let me know in a comment "What's your favourite soup?" 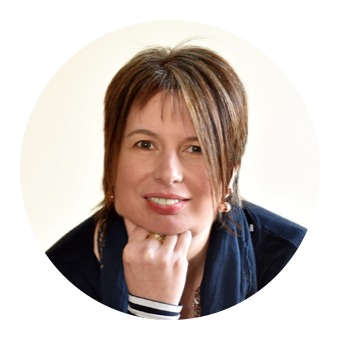 For additional bonus entries you can follow me on Twitter or like me on Facebook. Good Luck! 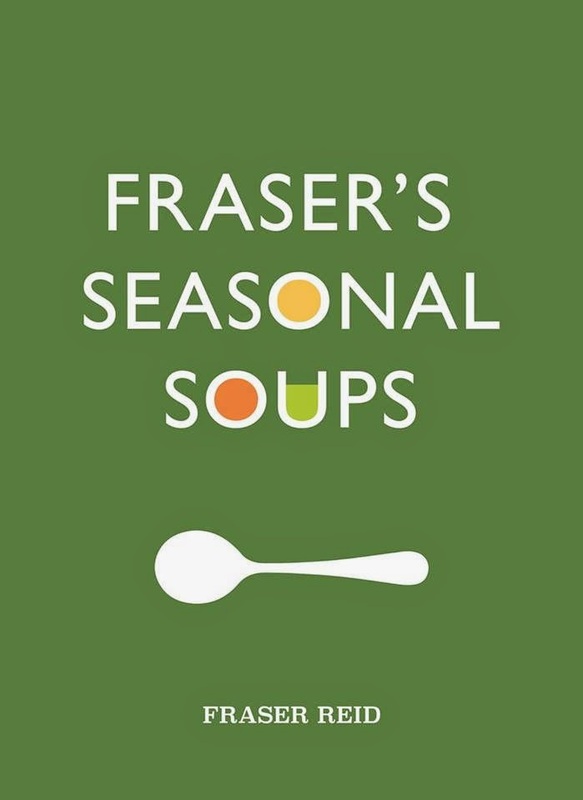 Disclosure - QMS commissioned me and compensated me for my time in creating a St Andrews Day idea for their Facebook page and Kitchen Press provided me with a copy of Frasers Seasonal Soups for review purposes. All views expressed are my own. Homemade broth with a crusty roll! I love any soup that I can make in my slow cooker - my favourite at the moment is spicy carrot and lentil (spiced with cumin seeds and a pinch of chilli flakes)! beetroot and apple with a dollop of creme freish/dill on the top. I love pea and mint soup!